The act of rebellion is an act of freedom. POLICE, as a brand thrives on a simple philosophy: your choice is your style. The designs don’t conform to the imaginations of a designer, instead, they canter and run parallel to unique choices. The classic POLICE DNA is strong, rebellious and vocal but the vicissitude of rebellion is every generation’s own. Today, POLICE stoke the fire of a quiet revolution that tones down the demonstrations and encourage debates. POLICE celebrates the birth of the quiet rebels with this novel collection. Offering freedom, individuality and tena­­­city, the timepieces speak to freedom-seekers, succeeding to capture the resilience of their thoughts with every timepiece. Bold and recognizable shapes coupled with neutral tones and exceptional leather straps and bracelets, these timepieces are designed for those who are masters of their own time. 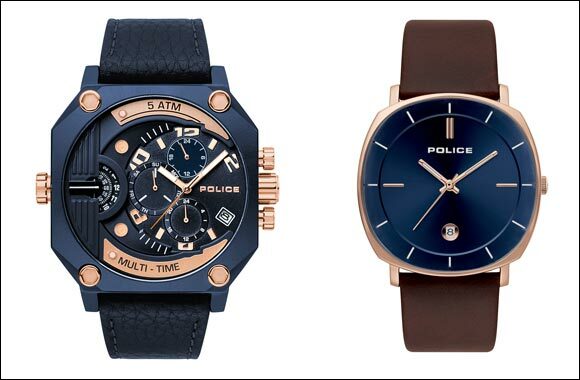 Further enhancing the POLICE lifestyle, POLICE accessories are exceptionally striking with leather, metal and stones seamlessly relating aesthetics with practicality.